International book publisher Penguin is laying groundwork for competing in the nascent Chinese e-book market with a deal signed with Beijing-based Founder Apabi Group. John Makinson, chairman and CEO of Penguin Group, comments: "We are excited to be signing this landmark agreement with Founder Apabi. For Penguin, both the Chinese market and the digital arena represent areas of great opportunity and future growth, and in Apabi we believe we have found the right partner to develop our e-book offering. We look forward to using our relationship with Apabi as a springboard for a range of digital projects over the coming years." Penguin's full range of e-book titles from the United Kingdom and Dorling Kindersley, which today stands at more than 2,000 titles, will be made available in Apabi's proprietary CEB format. Penguin is the first international publisher to sign such an agreement in this major market. Starting May 2009, Penguin's best-selling titles will be available in English for download to Chinese readers, including a wide range of fiction, non-fiction, classics, children's, lifestyle, and travel books. 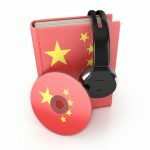 Presently, China's e-book market is primarily focused on libraries and academic collections, with a small but rapidly growing consumer e-book market. Founder Apabi occupies an estimated 80% share of this market, with more than 500,000 e-book titles in its database, taken from more than 500 Chinese publishers. 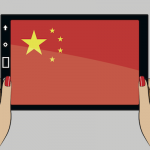 The Chinese e-book market in 2008 was estimated to be worth CNY200 million.